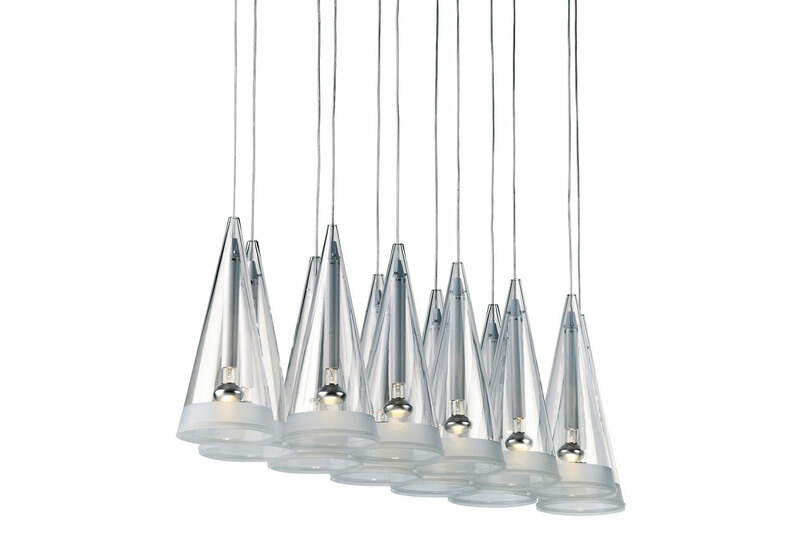 Fuscia 12 is a pendant fixture comprising twelve conical blown glass diffusers. Designed by the legendary Achille Castiglioni, it provides both diffused and direct light through the diffusers that come with sandblasted edges and a translucent silicone rings. Available in various configurations with corresponding white ceiling rose.